A couple of weeks ago I ordered a Joystick Shield V2.4 from elecfreaks and it arrived yesterday. This shield with baked in nRF24L01 support looked quite promising as the basis for a handheld remote control for a robot or quadcopter. The shield also has a Nokia 5100 display connector but I’m not planning on using that. The other end of the remote control link will be based on an embedded coolness nRF24L01 shield which I have looked at in a previous post. The robot radio link would use a pair of short range nRF24L01 modules and the quadcopter would use long range nRF24L01 modules. 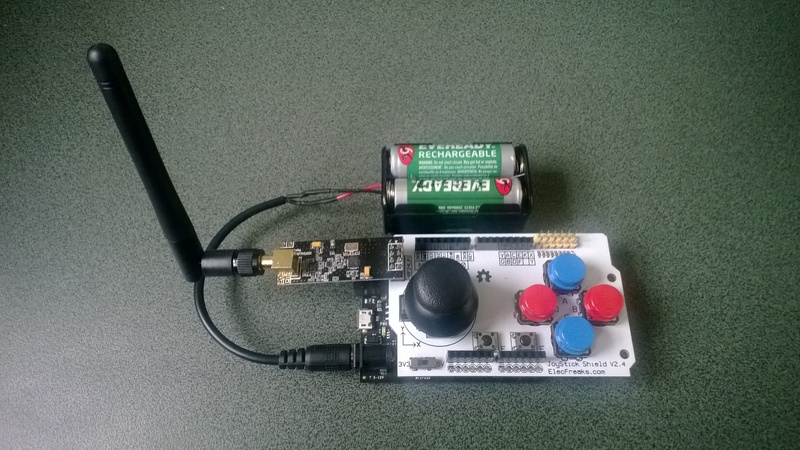 The sample application from the previous post requires a small change to the initialisation code to work with the Joystick shield. 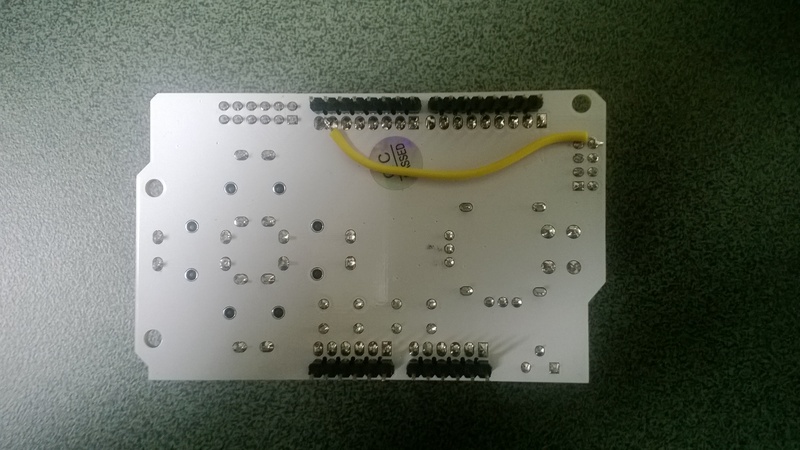 This entry was posted in .NetMF, CodeClub, elecfreaks, Netduino and tagged Netduino, nRF24L01, remote control, shield. Bookmark the permalink.